May He rescue us all from doubt, letting His joy in us abound, removing our unbelief. We’ve been singing this song at church the last few weeks, and I just can’t get enough of it. Sometimes, we just need a reminder that He’s here with us. May you feel His presence abundantly today, standing in His glory. Let’s make a little list, shall we? 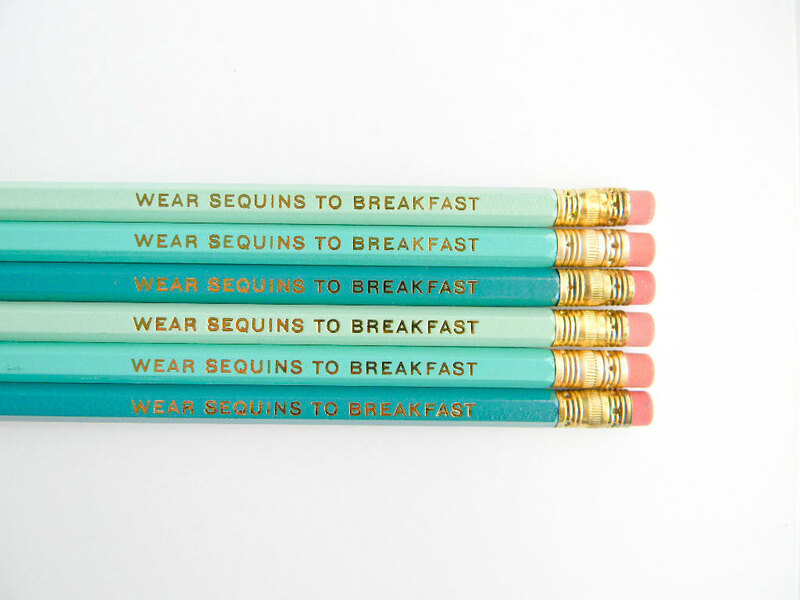 I’m smitten for these charming pencil sets by Amanda Catherine Designs. 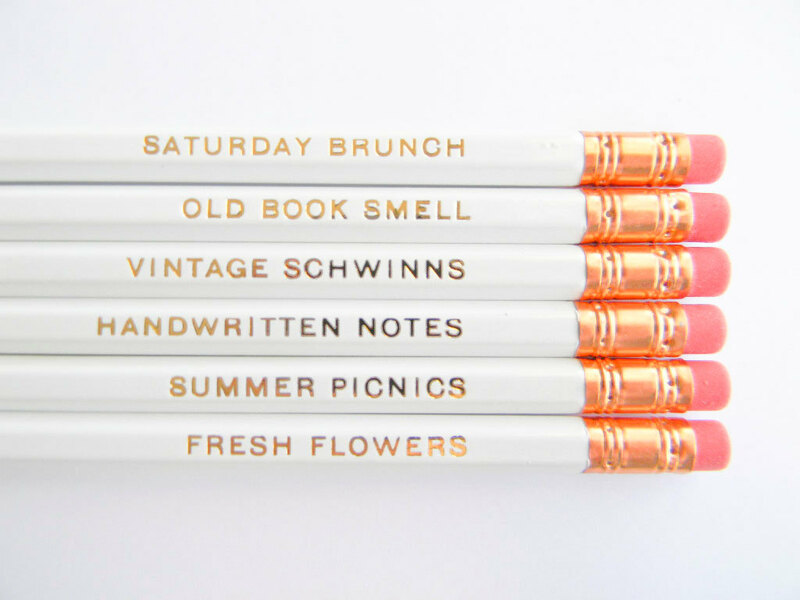 How could you not feel creatively inspired when writing with one of these lovelies? And who can say no to sequins? I’ve been happily discovering some new tunes lately, too. Can’t stop listening to Holley Maher. Odd Place to Be is especially inspiring and pretty perfect for this season of life I find myself in. Jenny & Tyler’s worship music is encouraging my heart, as well. And I just discovered Emily Hearn and Mariah McManus. I love discovering new sounds for each season. What’s on your current playlist? And speaking of lists, remember these? I used to love making seasonal delighting in lists, so I’m planning to bring them back as a regular feature soon. P.S. 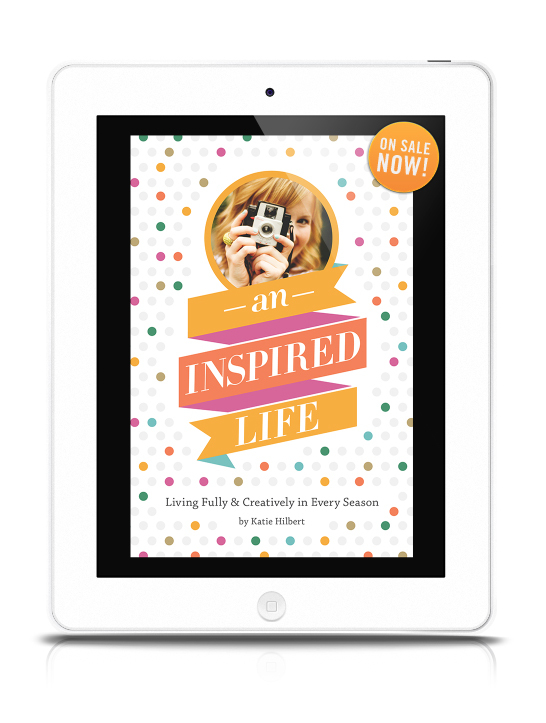 BIG NEWS: My eBook video will debut tomorrow on the blog! Seriously so excited to share it with you. What if the seasons help us realize, some things are only proven over time? Music makes my heart happy when I’m creating, and this song is a pretty perfect backdrop to my writing and creating. P.S. The promo video is close to being finished, so look for that in the next week or two. I can’t WAIT to share it with you! Lately, I can’t get enough of these lyrics from Francesca Battistelli’s song Strangely Dim. In the midst of praying about what feels like a thousand dreams, I need the reminder to fix my eyes on Him, need the reminder that He lovingly holds every single one. It’s true that sometimes it can be hard to see past the things we pray. I am a dreamer, and I love dreaming. It energizes me and inspires me and motivates me like nothing else does. And I love and cherish the dreams and desires He’s placed on my heart to pray about. They are gifts, and they are precious to me. But I also don’t want to be so focused on the praying and the wondering and the waiting that I miss His face. I want to experience the joy of just being with Him and sitting in His presence. I love knowing that I can experience this kind of peace and rest whenever I seek and abide in Him. He will quiet every question, every doubt, every worry, every fear. And I’m thankful that I can rest secure, knowing that even though I don’t know what tomorrow may hold, what dreams will come true and when, I do know that He holds them all, and there’s nothing more reassuring than that. You might remember that I selected FURTHER as my One Little Word for 2013. Well, FURTHER has recently acquired a theme song, and I can’t resist sharing it with you all. This song is the prayer of my heart this year. To go deeper in my faith. To let Him tear walls down and take me FURTHER. Are you participating in One Little Word? If so, what would your word’s theme song be? He is good to me, and because of Him, everything is possible now. After a blessed afternoon with my church family, I’m going to go cozy up and get a little writing and artwork done. Coming this week on the blog: tips for creating your blog’s mission statement, more info on Threads of Hope, and a She Reads Truth update! See you here tomorrow! I hope your weekend was blessed. I can’t get enough of All Sons and Daughters’ new EP The Longing—especially their song Oh How I Need You. The lyrics have become the song of my heart this week. Lord, I find You in the seeking. // Lord, I find You in the doubt. // And to know You is to love You. // And to know so little else. // I need You. // Oh, how I need You. I’m so thankful that we can always find Him—even in our doubt. Lord, I find You in the morning. // Lord, I seek You every day. // Let my life be for Your glory, woven in Your threads of grace. // I need You. // Oh, how I need You. I’m thankful that in Your Light, I will find all I need is You. I’m about to begin the last year of my twenties (eeek!). And I have a pretty ambitious 29 Things list! ;) But I really want to embrace this year. I feel like I’m at such a good place right now…confident in the direction I’m heading, in the prayers I’m praying, and the growth I’m seeing. I want to keep being brave and bold in my pursuit of the Lord and in my pursuit of becoming even more of the woman He created me to be. Write, design, and publish my eBook. Be an active participant of She Reads Truth. Begin each day in prayer (on my knees). Pray for increased faith every day. Continue to pray boldly. Commit to another 40 days of prayer. Read Kate Morton’s new book, The Secret Keeper. Visit a dear friend in California. Eat brunch at a local French cafe. Take my artwork to the local coffee shop who said they’d be interested in displaying/selling it. Start doing more hand lettering. Attend a creative conference like Luminous or Alt Summit. Take a Blogshop class. Further develop my brand: Create a media kit for my blog, and pursue some new partnerships/opportunities/collaborations. Pitch my writing/artwork to a few publications I’ve been dreaming to work with. Start using the manual settings on my camera. Learn how to shoot and edit video for my blog. Save for and invest in a new laptop. Be more involved in the local art/design/writing community. Attend Weapons of Mass Creation again. Go to more sessions. Hear more music. Participate in a 5K like this one. Serve the local community with my church through art/creativity. Learn how to create in Illustrator. Eat fewer processed foods and more fresh in-season foods. Try at least one new recipe every month. Watch the first season of Mad Men—AND finally host that Mad-Men-inspired soiree? Go on a fall picnic (with hot apple cider, of course!). I’m excited to see all God has in store, and I’m excited to continue learning and growing even stronger in my walk with Him. I want to live this life as fully and creatively as I can, giving thanks for each and every beautiful blessing.